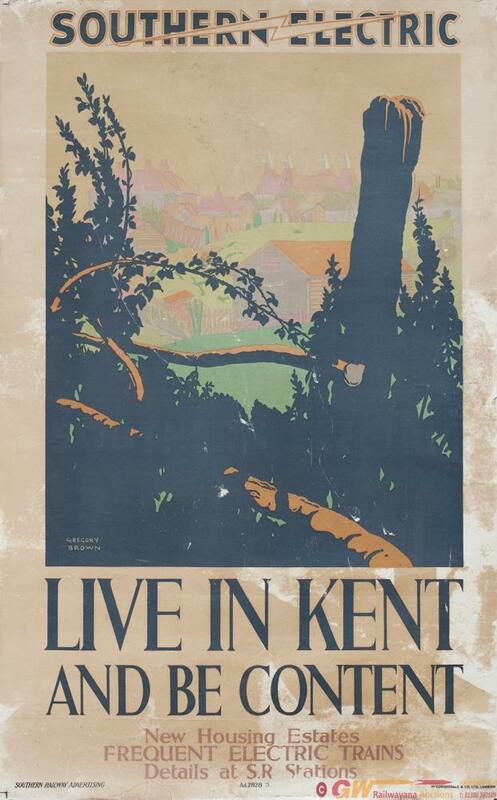 Poster SOUTHERN ELECTRIC LIVE IN KENT AND BE CONTENT by Gregory Brown. Double Royal 25in x 40in, published by The Southern Railway Advertising in 1928. In fair condition with some staining, has been mounted on linen.